The goal of S.H.O.P. is to reduce the number of HIV and other sexually transmitted infections in Harnett County through prevention, education, and outreach. Free condoms and educational materials are provided to local barber and beauty shops participating in this program. S.H.O.P. is an outreach program of the Health Education Division.For more information about S.H.O.P. or how to participate, please contact the Health Education Division at (910) 814-6195. 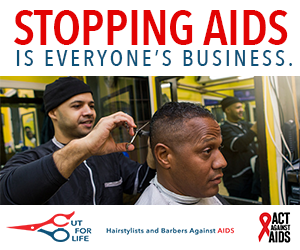 The Health Department’s SHOP program is based on the Centers for Disease Control and Prevention (CDC)Cut for Life which engages hair care professionals in HIV awareness and prevention in communities most impact by HIV. For more information click here to view the CDC web site.